FORUM MEMBERS! Enter to win 2 tickets to Dolphins @ Colts on SEP 15 1:00PM EDT at Lucas Oil Stadium! Also, if you have not entered yet, the Drawing for 2 tickets to the Home Opener is still open Click here to enter for either or both! Drawing for 2 Tickets to Home Opener NOW OPEN! Enter to win 2 tickets to Raiders @ Colts on 9/8! Click here to enter Congratulations to the Browns ticket winner jhashu! NOW OPEN! Enter to win two tickets to the Bills @ Colts preseason game at Lucas Oil Stadium You must be a forum member to enter. Forum membership is free as well as fun (we are Coltstrong!) Just click the link for the Bills tickets on this page http://forums.colts.com/index.php?/page/Contests/2013HomeTickets/home_ticket_giveaway.html We'll draw a winner on August 5 Good Luck! Mother's Day is a celebration honoring mothers and motherhood, maternal bonds, and the influence of mothers in society. Mom's rock! Thanks to all who have a maternal influence on the world! This includes anyone who nurtures anyone or anything because for me, that is what mothers do And it makes the world a better place So thanks to all MOMS! Kevin Bowen hosts regular chat sessions here on the Coltstrong forums. 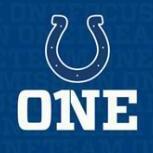 Be sure to log in at 11am on Fridays During the off season, sessions are every other week Details here: http://blogs.colts.c...lace-at-11-a-m/ Next Horseshoe Roundup will be April 3 Kevin will also hosting chat during each night/day of the draft. Wow, what a difference a year makes....... Remember last January when Rob Lowe sparked internet mayhem by tweeting that Peyton Manning was going to retire? Almost a year to the day, Rob Lowe will appear with Andrew Luck, Reggie Wayne and Jim Irsay on an episode of Parks and Recreation. This is Mac's chance to watch the show. I seem to recall he never heard of it. To the Ravens for the win and to the Colts for a great season! Let's PUMP UP THE COLTSTRONG! Post your message to the team here: http://www.colts.com/news/article-1/COLTS-RAVENS-TO-MEET-SUNDAY/16edbe4e-0fe3-4028-b59c-283bb49c3697 before the Wild Card game kickoff and enter to win one of these playoff posters! Come on Colts fans, let's pump up the Coltstrong! We are Coltstrong! Gallery Winners! Texans @ Colts Ticket Winner! Drawing Open for Texans @ Colts tickets! Titans @ Colts Ticket Winner Announced! Photo Winners! A bunch of them! Winner Winner! 2 Tickets to Bills @ Colts! Mary Holloway won the Bills @ Colts Tickets! Opening Soon! Week 14 Titans @Colts Remember, upload a photo to the Coltstrong Gallery for a chance to win some Colts stuff from our prize closet We're giving away two tickets to every home game this season! You must be a member to enter, click here to join. 2 More We Are Coltstrong! Gallery winners! The drawing for 2 tickets to Dolphins @ Colts is now open!